In 2013, beer is fabulously popular in Japan, and Sapporo's right at the forefront. But in 1876, when brewmaster Seibei Nakagawa began formulating what would eventually become Sapporo, he wasn't catering to popular taste, he was creating it, guided by German training, and a firm belief that, eventually, Japan would have no choice but to love something this delicious. 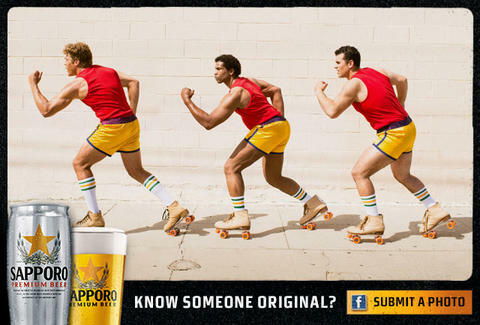 That spirit of originality still infuses everything Sapporo does, right down to the design of the can whose steel suit makes it the envy of less fashionable cans worldwide. So in the spirit of the Kampioneer -- someone whose originality is worthy of a toast . Raise a glass, and may whatever trail you're blazing draw inspiration from the willingness to give the people what they want, before they know they want it—Kampai!